Real Madrid removed any shred of doubt that it could come back from the first two match days of the Liga, demonstrating once again that it rises to the big occasions and won the Spanish Supercup in brilliant style. The first half an hour the Whites’ performance was good enough to be framed, to be taught at any football academy, and by this time they had already scored two goals, had another ruled out, had enforced the correct sending off of Adriano and had shot on goal five times, versus its opponents zero attempts. Higuaín and Cristiano Ronaldo both scored for Madrid, while Messi, from a free kick, halved the deficit on the edge of half time. The second half saw the home side’s dominance, opportunities for both teams and the debut of Modric. The ninth Supercup now forms part of Real Madrid’s trophy cabinet. “The plan is simple: we will attack from the first minute”, ensured Mourinho in the preview. His team, loyal to its coach’s ideas, played with the Portuguese’s brave philosophy until the very end. In minute 2, Higuaín warned of their intentions with a shot from the edge of the area that went over the bar. The Argentine was also the protagonist of the home side’s second opportunity, which was much clearer; however, he was unable to beat the visiting goalkeeper in minute 7 in the one-on-one with Valdés, after a masterly assist from Marcelo. At the third attempt, however, the goalkeeper was beaten. A long ball from Pepe, a mistake by Mascherano when attempting to clear it that Higuaín made the most of to beat Valdés and put his team ahead. In 11 minutes, the Whites had enjoyed three clear chances to score, pressed closer to the opposition’s midfield than in the first leg and were giving the home fans something to cheer about. The Whites did not want to settle for this slight advantage and four minutes later scored the second goal. A pass by Khedira from within his own half fell between Cristiano Ronaldo and Piqué. The Portuguese beat his marker, controlled in the area and struck the ball with immense power. His shot was blocked by Valdés, but ended up in the net. The Portuguese thus matches Zamorano as the only Madrid players who have scored in five consecutive Clásicos. 2-0 in less than twenty minutes and attacking pressure from a team that was pleasing its fans in the Bernabeu. The home side’s attacking force did not stop there. Higuaín, who was a headache for the blaugranas, could have scored his second of the match, but Valdés prevented him from doing so in another one-on-one in minute 21. Ten minutes later, from a free kick taken by Xabi Alonso, Ramos headed the ball into the back of the net, but Mateu Lahoz ruled it out because of a foul by Pepe. Real Madrid continued to impose its game on the visiting side and this pressure bore fruit with the sending off of Adriano, who brought down Cristiano Ronaldo outside of the area when he was going to face-off against Valdés. The Brazilian, who was the visiting side’s last player, was correctly sent off in minute 28. Half an hour into the game, the home side was overwhelming its opponent, having scored two goals and having another ruled out and having enforced the correct sending off of Adriano and shot at goal five times versus the visiting side’s zero attempts. It was a demonstration of superiority in front of its fans. With ten men on the pitch, Vilanova was obliged to make his first change: Montoya replaced Alexis. Despite this, the dangerous moves still belonged to the home side. A rapid counterattack once again surprised Barcelona, Higuaín arriving in the area and when he had readied himself to shoot Mascherano appeared to make a block vital to the visiting side’s interests in minute 32. With the clash approaching half time and Real Madrid heading to the dressing rooms with a slight advantage based on the countless opportunities they had had, Messi scored with Barcelona’s only shot on goal in the first half. The Argentine reduced the deficit from a free kick in minute 44. The sides’ approaches for the second half were clear. Real Madrid dominated possession and controlled the game’s tempo, while their opponent, down to ten men, looked to surprise on the counter. Pedro attempted it on two occasions, the first very similar to the move with which Barcelona equalised in the first leg, but on both occasions he came across an unmoveable Casillas. In minute 68, Real Madrid played a similar move. Excellent play by Khedira who, after passing three opponents, arrived in front of Valdés. His shot with the outside of his boot was blocked by the blaugrana goalkeeper. The Whites’ first change came in minute 78: Callejón on for Di María. One minute later, Higuaín had an opportunity to score the third but his shot met the post after he had beaten Valdés. Benzema replaced the Argentine with ten minutes of the match left. Modric’s debut arrived in minute 82, with the Croat replacing Özil. The Croat could not have made a better start, coming close to scoring his first goal as a Madrid player and adding another title to his list of successes, and his first with his new team. Real Madrid has removed any shred of doubt after the first two match days in the Liga, once again demonstrating that it rises to the big occasions and the most difficult moments. The Whites won the second of the four Clásicos, so far, that will be played this season and lifted the first title of the season: the Spanish Supercup. The 2012/13 season opens in the Santiago Bernabéu with a match that pits Real Madrid against Valencia, the first and third-ranked teams of the last campaign. After winning the record-breaking Liga the Whites now hope to start their defence of the title on the right foot. A look their track record gives reason for optimism. You have to go back to the 1984/85 campaign to find the last defeat in a home match on the first day. Since then Real Madrid have achieved eight wins and three draws in their opening matches at home. 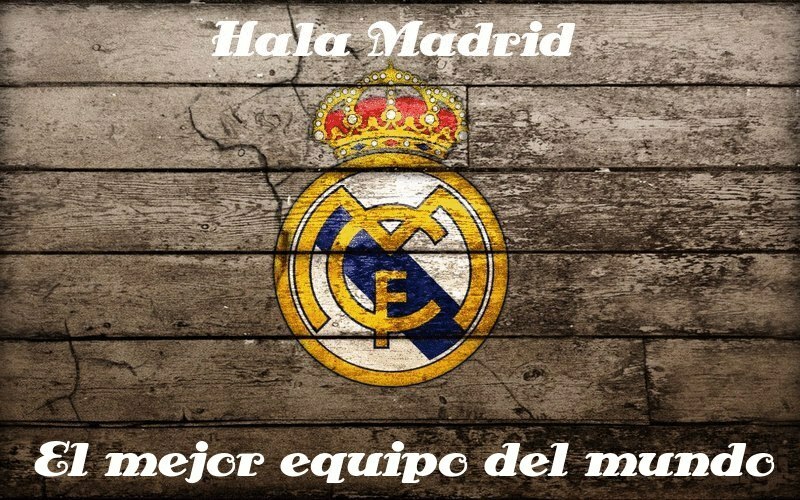 The official season begins for the new project of Real Madrid 2012/2013. After a spectacular finish to last season dramatically winning the 32nd league title beating the great records of the tournament, the white team returns to the competition in a game at the highest level against what was the third best team in Spain, Valencia (19:00, C + League and Gol T). The Whites kick off their title defense with the same block that gave so much joy to the fans last year and with the highest expectations in all competitions after completing a magnificent preseason: in four games played in the American tour the whites have notched up four victories. The new season which trainers, players and all Madrid fans were waiting for,starts for the best Spanish champions. José Mourinho begins his third season leading the Real Madrid line-up after he extended his contract with the club. The trainer has conquered the Copa del Rey and the League of records, but principally has formed a winning group with very young players who are able to aspire to everything. "We are the same people, we know each other well and we will try to maintain the quality of play, team spirit and level of ambition. Keeping all of this we will be candidates to win every competition we play to win and to win every time",said the Portuguese before the league debut. The white team will play for the eighth time in its history against Valencia on the opening day of the championship, and in the seven preceding matches Real Madrid have managed five wins, four of them in the Santiago Bernabeu, and only two losses. In the total balance of matches Real Madrid has managed 58 wins, 10 draws and nine defeats in the 77 games in which they played at home against Valencia CF. Real Madrid faces this league opener after completing a brilliant preseason. The white team began their preparation on July 16 in Valdebebas and played two games (against Oviedo with a victory and a defeat against Benfica in the second) before all the internationals playing in the European Cup joined the group dynamics to start the American tour. They worked with great intensity and the team managed four wins in four games in Los Angeles, Las Vegas, New York and Philadelphia. José Callejón was one of the major players in these games and finished the preseason as the team's top scorer with five goals. The Madrid coach has called up 22 players for the first official match of the season to be held in the white stadium, with only Carvalho and Sahin left out. The competition starts after the international players have played friendly matches with their selections, which happened last season on four occasions and after them Real Madrid was always victorious. Moreover, Cristiano Ronaldo and Higuain, who last season scored 46 and 22 goals respectively in the League and have been two of the players who have played for their countries, have managed to score ten goals in their last six games against Valencia in the national championship. Valencia arrives in the Santiago Bernabeu as one of the three teams which managed to score in the Madrid coliseum last season. Their rival Real Madrid had a great season in which they reached the semifinals of the Europa League, while in the League they came third place since being given the direct ticket to play this year's Champions League. On day 32 they were able to add an important draw against the whites, who despite enjoying many occasions failed to enter the goal well defended by Guaita. In total, they achieved six wins, six draws and seven defeats in the championship away from Mestalla. The Valencia team starts the new season with many new faces, among which Mauricio Pellegrino stands out above the rest. The former player of Che returns this season to lead the team including Guardado, Jonathan Viera, Joao Pereira, Valdez and the former white player Gago. In seven preparatory games Valencia has managed three wins, three draws and only one defeat. Roberto Soldado, who scored 17 goals last season, will be the great point of reference in the attack of the team for this season. Goals from Xabi Alonso and Khedira give a well earned victory to Mourinho’s team against a well prepared Santos Laguna in a sweltering heat in Las Vegas. Second straight win for Real Madrid in their US tour. This time the opponent was a little tougher and the conditions were not the best for football because of how stiflingly hot it was in Las Vegas. Santos Laguna did not make things easy, they were a tough opponent who showed pride and strength, taking the match as seriously an official match rather than a friendly. Mourinho’s team played seriously and concentrated, showing the spirit of champions and the competitive gene that this team have. The Whites continue to beat attendance records wherever they go. This time 29,105 spectators saw Real Madrid win. Real Madrid appeared in Las Vegas in sweltering heat, with a desert climate and the Sam Boyd stadium practically full. The rivals Santos Laguna of Mexico, were a slightly tougher opponent than last Thursday’s LA Galaxy. The Mexican champions started highly motivated against a Real Madrid team that included the front three trio of Ronaldo, Özil and Higuaín. In the 14th minute the first goal came for the Whites from a sensational Xabi Alonso strike from outside the area. A great goal that put Mourinho’s team ahead on the scoreboard. The goal opened up the game and the Whites began to break into the opposition’s area with ease. In the 18th minute a great piece of play by Higuaín who then passed to Özil in the area, but the German narrowly missed. The Mexican team responded strongly and with occasional attacks against the general run of play. When the match seemed under control for Real Madrid, Santos Laguna took advantage of indecision in the defence to make it 1-1 through Cristian Suárez on 25 minutes. Mourinho took that opportunity to make the first change and replace Jesé with Alex. Real Madrid reacted quickly and Granero was able to make it 2-1 when his shot took a touch off of a defender on the way in. Cristiano Ronaldo tried from distance but his shot in the 32nd minute went wide. Santos, a team fast in the transition from defence to attack looked to get in behind Real Madrid with long balls into the wings. A scuffle between Granero and Herculez Gomez resulted, surprisingly, in a yellow card for the Whites’ player. In the 39th minute Cristian Suárez found himself in front of Casillas but his shot went wide of the far post. Ronaldo, the most incisive for the Whites, tried his luck again in the 42nd minute with a diagonal shot that sailed through the area without anyone able to touch it into the net. Then the end of the half came. The second half started with eleven different players for Real Madrid. Adán, Sahin, Ramos, Morata, Benzema, Callejón, Khedira, Kaká, Nacho, Pepe and Lass. Mourinho stayed true to his idea of making eleven changes in these pre-season matches despite the tight scoreline. The Whites had their first chance in the 48th minute after a great move from Kaká which ended in a Benzema shot from inside the 6-yard box that went just over. A minute later Morata had an opportunity but his shot did not find the target. The Whites shifted up a gear. Benzema had a chance to make it 2-1 with a shot from a corner kick but Sanchez made a great save. Real Madrid kept looking for the goal but it did not come. Callejón had a chance in the 62nd minute but his weak shot went straight into the hands of the Mexican goalkeeper. The referee again to the forefront and gave Pepe a warning, but was inconsistent with other players. The match entered a tough period and this time the yellow was for Hérculez Gómez following a tangle with Pepe, who was playing tough with the forwards. Callejón failed to score with his shot being saved by Sanchez.